there definitely should be a reason of "Nonsense" when reporting. Id like to report an earlier post on this thread as utter nonsense. i do agree with Andychamp. The moderators are smart enough to figure out when people have vendettas etc. I like the new system. Great initiative to cleaning up Gearslutz! Can we please have a rule against quoting really long posts, in other words what I am doing now to prove a point? It's ridiculous to have a whole A4 sheet of paper's worth in a quote, along with a 2-sentence reply at the bottom. People should quote a relevant portion or simply go for: "@Jules: I agree!" 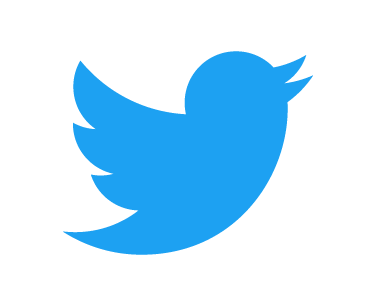 (No, I'm not a Twitter addict, the @ symbol was in use before Twitter you know. ) This is far from the worst example either. There are people quoting 3 times as much as I just did, just to add "Yep!" at the bottom. Not only is it a huge waste of space, it also makes updating the original post awkward (in case it's a collaboratory information gathering thread for instance), since you'll have a dozen quotes containing older versions of the information. Then there's the people quoting picture posts without removing the pictures, leading to needlessly massive pages. The worst is in photo diaries in the studio build section. At the very least, photos should not appear in the quote, but as a click-able link. People should make a much bigger effort to edit the quotes they are quoting. This is an etiquette issue, though, not a punishable offense IMO. Also, is it really necessary to post a reply to The Bridge build or The Manifold build telling them they are doing a great & beautiful job? I think they know that by now. Well put. You know, I've waited years before finally joining Gearslutz for that reason. I simply didn't want to waste my time having superb conversations constantly ruined by angry flames or know-it-all experts who haven't even used the product. We're meant to be serious industry professionals, not children. I finally joined in December 2010 after deciding I would avoid all controversial threads, and never post controversial posts (this reply is the closest you'll see me to controversy). A significant portion of threads cause me to hit the back button as soon as I see that by the third reply they've degraded to name-calling and armchair "expert" opinions being shouted loudly from a few annoying parties. If these new reporting functions can clear up Gearslutz from these disruptive annoyances I know one person who would be happy to rejoin (Bob Katz). He's as sad as I am that the greatest resource for gear and music discussion in the world keeps falling down into childish sand throwing, as if we're children in a playpen. The latest loss was Michael Brauer for the very same reason. It's just not cool. you can never have too many compliments! I vehemently disagree. What is the good of having a FORUM if the originator of a thread can simply remove any posts that don't agree with his preconceptions or tell him things he doesn't want to hear? I'll admit, I get very frustrated with certain people in the Piracy forum who keep babbling the same nonsense over and over, but I think that self-moderation is not the solution. GS is a FORUM. YouTube is not. 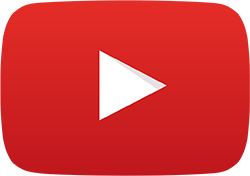 YT is a media site with social networking features; it does not fulfill the same function. Is that how you would manage a thread? It's not how I would manage a thread. I think your opinion underestimates the open mindedness of this community. Keep in mind that if people operate their threads in the manner that you fear, no one will be interested in engaging that person, I know I wouldn't. I have no doubt that some people will do what you say, but I think it would be a very small minority. Personally, I am not interested in censoring opinions, but I am interested in ensuring the use of civility in threads. I am not even saying that you have to have the whole forum work in this format, this could be a part of the GS experience and would come in handy when discussing more serious or important topics. Keep in mind that if a moderator starts a thread, he/she already has the power to make the changes that I am recommending at their fingertips YET it doesen't seem to derail open discussion and differing opinions in their threads. I don't think you oppose the idea because the idea is moderation only in a different form and moderation is currently how this forum operates. It sounds like you would oppose the idea of someone abusing the power that would be granted to them. I beleive that the type of behaviour you fear under such a system, would be quickly weeded out on this board.....much like natural selection. Take a close look at how much discussion goes on in a controversial You Tube video. It is true that discussion is not the sole purpose of You Tube, but it is very much a forum like atmosphere on some of the videos. I agree with you John. And in the case of the Piracy forum, I think it should follow right behind the political forum. That place is a mess. In there it is not enough to agree Piracy is a problem and needs to be stopped, but if someone doesn't feel piracy is the #1 worst problem in the world a certain few members will insult them, twist the context of the discussion around by going back and editing previous posts and misquoting in favor of discrediting them, or basically do whatever it takes to harass them to the point of either leaving or agreeing with every word they say. Is this necessary on gearslutz? It is likely that very few legit people who aren't trolls are truly pro-piracy on this website. Why give the trolls an easy target? And why condone the condescending defensive nature that is so prevalant there? Piracy is illegal and wrong. What more is there to discuss unless the true agenda is simply to tell people specifically how to think? Why can't we leave the laws for the political system and the morals for religion? Or at least make it a members only forum so it's not so embarrassing if an innocent bystander stumbles in and is misunderstood and instantly accused of being a criminal or a sympathizer of ones. ... in the case of the Piracy forum, I think it should follow right behind the political forum. That place is a mess. In there it is not enough to agree Piracy is a problem and needs to be stopped, but if someone doesn't feel piracy is the #1 worst problem in the world a certain few members will insult them, twist the context of the discussion around by going back and editing previous posts and misquoting in favor of discrediting them, or basically do whatever it takes to harass them to the point of either leaving or agreeing with every word they say. Is this necessary on gearslutz? We are keen to track these down and block IP's (and we have other systems in place that are more sneaky!) we can only catch these people if the community alerts us to them. Keep keeping on! Yeah, this is a really terrible thing. I think that, in comparison to this, disagreements and arguments and rants and even ordinary trolling are all small potatoes. I've seen instances where two guys enter a thread, one playing the straight man asking a question, the other coming to offer an answer, and the two very obviously cooperating with one another on the content and flow of the conversation. Once I saw this kind of thing occurring regularly, my opinion of gearslutz as a site really changed. Not that it changed my opinion of the good folks whose posts I've read and benefited from over years, it's easy to tell who's the real deal if you read around here for a while. But geez, this business of guys stuffing the board with fake conversations and false information, served up as though it's just an honest opinion (right or wrong) is really sleazy. Makes it very hard to trust the site as a source of information about gear purchases, which is of course one of the most valuable things about the site to begin with. When we start to use terms like science and belief we are entering into an epistemology discussion. Cold hard science is one way of knowing but not the end a ll be all of knowledge and truth. Moreover, the neuroscience behind perception, values and behavior are extremely complex topics (my background is in psychology). What you are alluding to (if I am understanding correctly) is that on certain topics things will be graded depending on a fact/belief ratio. If this is correct, who is going to define a fact in an art form based on personal taste and perception? I'm not saying that someone with a spectrum analyzer or an oscilloscope can't make good use of these tools, I'm just saying that for every mathematical equation one uses to make a point they have to make a value judgement about the implications of the mathematical equation. Let's please not turn this forum into "just the facts Maam" kind of situation. Yeah, this is a really terrible thing. I think that, in comparison to this, disagreements and arguments and rants and even ordinary trolling are all small potatoes. I've seen instances where two guys enter a thread, one playing the straight man asking a question, the other coming to offer an answer, and the two very obviously cooperating with one another on the content and flow of the conversation. , once we have been alerted that is..
Thats what the report a post thing is all about - halting rudeness and membership skulduggery..
My interest in what the other GS member seemed to be suggesting, some sort of 'automated fact detection' was purely intellectual, if it wasn't made clear - I meant to get across that I would love to see someone prove how it could be done, (as I am sceptical, as you perhaps...) Not proceeding with anything in that direction for sure! On a distantly related note: what's the protocol to follow when reporting a moderator? A.k.a. "who watches the watchers?" This is meant as a serious question, btw. You can PM me about it. If you are going to limit the conversation to only one point of view, than what's the point ? Piracy is political, The Pirate Bay is a Political Party in Sweden! As Jules noted in his previous response about the piracy subforum, it's complicated. I like how music software piracy is handled on GS (zero tolerance), but there seems to be a double standard when it comes to actual music piracy which is where some of us make our living (the minority it would appear) - and many of those with actual experience have left the music business and piracy sub-forums from the never ending onslaught of pro-piracy posters and apologists. So I guess it is what it is. haha , i love these comedian/ish comments ! Not that i want it for real , but i like to have a good laugh ! I was thinking about how to handle the "code of behavior" for pros and noobs dealing with each other, and so went to look for this thread again to submit my "great new idea" as part of the solution. I recently "Report"ed a post (for the first time ever, I believe) and got absolutely no response from an Admin... there is no indication on the member's profile of "infractions" (as you sometimes see, not sure how that works), and for all I know the "Report" never went through for some reason. I noticed about a week later that the thread had been closed. How am I to know if my "Report" was received, and if it was deemed valid? It's important to know where Mods stand on offensive behavior, and if it's worth reporting similar behavior in the future, or if I'm just being shrugged off. I don't know if it's possible but I think it would be helpful to the Mod's if we moved to a system where threads were self moderated. I agree with other posters who oppose this idea on the grounds that it would make "self censoring" a thread to receive favourable comments a little bit too easy. On the other hand if this is what it takes to avoid what happened in the Mike Shipley/Maroon5 thread then I'm open to the idea of taking a utilitarian view in this case. Being of a different view of something is good and promotes discussion. To completely hijack a thread that was clearly about how a certain record was made just to poster your own distaste for it is wrong. No one should be treated that way regardless if you're Mike Shipley or someone who's just done his/her first record. Censoring is of course wrong but avoiding train wrecks isn't. Yes it is a fine line and maybe it shouldn't be crossed but this is an internet forum and whatever measures are imposed they won't threaten human liberties so I think we're good. Ahh, you might feel its important but you have to understand that we dont have time to micro manage courtesy updates back to people that help us with reporting. Then we are out of time..
We 'auto thank you' on the report drop down form for helping us, I am sorry but forum members reporting posts cant get more moderator time. The forum is like a fast train. we have to keep rolling forward, cant stop. I would say 70% of reports trigger moderator action. The other 30% fall in the 'meh!' zone where its borderline or perhaps a stretch for a moderator to decide its an actionable offence. If we DID get into back and forth correspondence to update on progress that it would perhaps triple the time for a moderator to spend per incident. As my mother once told me, "sometimes you just dont get that persons head on a plate, a $50 cheque and an apology"
We also dont want 'baiting' to take place where members goad other members to try to build up their infractions and get them banned here.. So any warnings / requests to desist in antisocial behaviour are mostly done behind the scenes, at the moderators discretion - its each moderators own personal judgement call, its not put forward for public srutinization or consultation. Again, many thanks to those of you who are using the post report system to help keep the forum civil and on topic. It genuinely helps the moderators out. I am scared to realize that if offered only one of the 3, most of the time I would take the head on the plate! Times are tough. I'll go for the $50 cheque.